So what sets the Michael Phelps Signature Swim Spas by Master Spas line of swim, fitness, and therapy swim spas apart from the crowd? Actually, the difference is pretty clear. The patent pending Wave XP Propulsion® Technology System delivers a deep and wide current of pure water flow with virtually no turbulence compared to industry standard jetted swim spas. The unique propeller design of the Wave XP Propulsion® System does not require air to be introduced into the water to increase its strength. This allows for a more realistic swimming experience with less turbulence and the ability to swim any stroke you want. You don’t need to be Michael Phelps to train like Michael Phelps, but the variable speed motor of our Wave XP Propulsion™ System allows you to try. 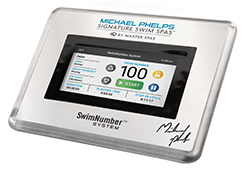 Exclusive to Michael Phelps Signature Swim Spas by Master Spas, the SwimNumber™ System allows you to choose your level of resistance created by the Wave XP Propulsion™ System. 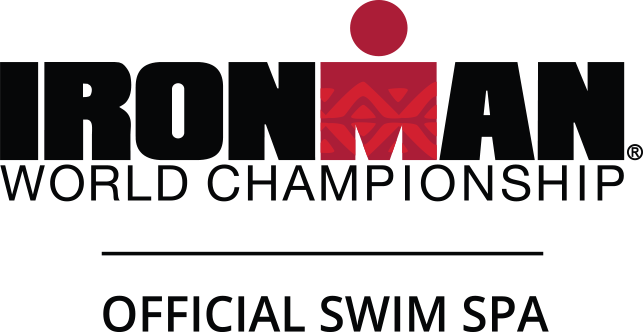 With varying levels from 0-100, you can find the ideal speed for you to swim, exercise, or train against. It’s as easy as finding your number. Also exclusive with the SwimNumber™ System, are preprogrammed Smart Workouts including beginner, intermediate, and advanced levels. Each Smart Workout changes the speed of the water current at different timed increments during the routine. We all have specific needs and abilities and most of us won’t need to swim or exercise at the same level that Michael Phelps does. That’s why we have created two different levels of our Wave Propulsion System. Choose which one is best for you and catch the wave. Standard option on all Michael Phelps Signature Swim Spas by Master Spas. The Wave XP Propulsion system generates up to almost 1,500 gallons of water flow per minute and is ideal for anyone with a desire to train or use the swim spa as the centerpiece of their swimming routine. Optional on only the MP Signature™ model, the Wave XP Pro requires 100 amp service and generates almost 2,000 gallons of water flow per minute. The Wave XP Pro system is ideal for those in serious training mode. Not only does a Michael Phelps Signature Swim Spa by Master Spas outperform other swim spas, they actually cost less to operate, too. In fact, our swim spas are the most energy efficient swim spas on the market today. The ultra energy-efficient motor used as part of the Wave XP Propulsion® System costs up to 70% less to operate than industry standards. Most Michael Phelps Signature Swim Spas by Master Spas* only require a 50 amp electrical service while other brands require 100 amps+ to deliver an inferior experience. * MP Momentum™ requires an 80 Amp System.